10 days from £4485pp plus international flights. If you love elephants - and who doesn't - this is a trip which gets you closer to them, and which supports Daphne Sheldrick's Elephant Orphanage in Nairobi. This wonderful 10 day safari is focused on elephants, but certainly not to the exclusion of other wildlife. The specifically elephant-related activities you will enjoy are no fewer than three visits to the Daphne Sheldrick Elephant Orphanage (twice at times when the public are not allowed in), and visits to an elephant release site in Tsavo. In Tsavo you will be staying at a simple camp owned by the David Sheldrick Wildlife Trust, primarily used by people supporting the David Elephant Trust or a related charity, which includes you taking part on this special holiday. Each day you're here you will visit the nearby Ithumba stockades from where the release of elephants is managed. 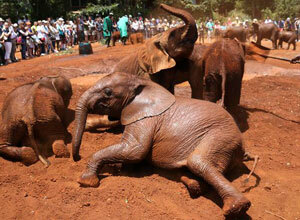 There is daily mud-bathing for these charges and the younger orphans are bottle fed. 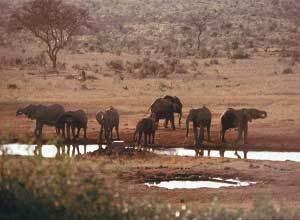 Elephants from miles around often come back here to say hello to friends and drink at the waterhole. You really will be in the thick of elephant action here! It will be an amazing experience. 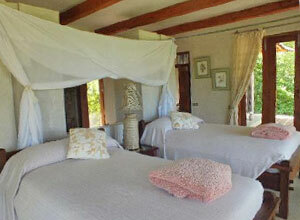 You also stay at Umani Springs, another lodge run by the Sheldricks, which also has elephant stockades you can visit. 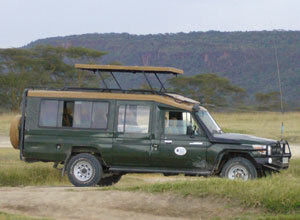 When you're not ele-watching, you'll have time to enjoy game drives in Tsavo East and Chyulu Hills national parks. 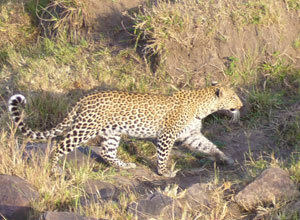 You have 4 nights in the Masai Mara and of course plenty of time in Tsavo. There is only a limited number of departures each year, each with a maximum of 6 places (because the Sheldrick camp in Tsavo is very small) so you need to act quickly if you want to join one of these very special experiences. You won't regret it! NOTE: Please note that the itinerary for each departure can be slightly different, so do check with us for each specific departure. You'll be met at Nairobi airport once you've cleared customs, and driven the short distance to Fairview Hotel for your first night in Kenya. This is a modern hotel ha 2 hectares of gardens, perfect for stretching your legs after a long flight. There's also a pool and a wine bar. There are 4 restaurants on site so plenty of choice for your evening meal. After breakfast you are met by your driver-guide at the hotel for the journey to Tsavo East, with opportunities for wildlife viewing on the way. 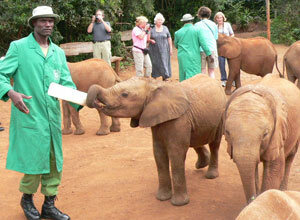 Your destination is Ithumba Camp, which belongs to the David Sheldrick Wildlife Trust. The accommodation here is simple, but comfy, and this is a self-catering camp but your group includes a chef who provides all meals during your stay. 2 visits to the wallow hole are planned in the afternoon where you can watch elephants, many of them orphans, enjoying mud baths. It's a very uplifting experience sure to leave you with a wide grin on your face! Full board. Price notes: 2019 guide price pp sharing is from £4485 for bi -annual safari commencing 16 Nov 2019 to 25 Nov 2019. 2 nights on bed & breakfast at the Fairview Hotel, 3 nights on full board at Daphne Sheldrick’s Ithumba Camp, 2 nights on full board at Zomeni Lion Hill Lodge, 2 nights on full board at Umani Springs, all park entry fee as per itinerary, all park entry fee for driver and vehicle, English speaking, bronze or silver guide during the safari (Member of Kenya Prof. Safari Guide Association), transport in a custom safari built 4X4 safari vehicle, airport transfers in Nairobi on arrival / departure, mineral water during game drives, game drives as per itinerary, 3 meals per day at Ithumba Camp and Umani Springs, services of a Chef cook at Ithumba Camp and Umani Springs, lunch at Carnivore on day 2, 3 visits to the orphaned Elephants at Daphne Sheldrick in Nairobi, evacuation insurance, a selection of alcoholic & non-alcoholic beverages during your stay at Ithumba & Umani Springs, AMREF flying doctor service within Kenya only. International flights and taxes (we can arrange these); visa; vaccinations; travel insurance; drinks and meals not mentioned; (Note: if you are paying a single supplement this will not apply to Ithumba Camp as there are no single rooms here). 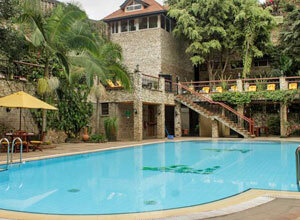 This trip departs from Nairobi. Many airlines fly into Nairobi and we can look at flights for you with whatever airline you prefer. As an example, an economy flight with Kenyan Airways will cost from about £700 up to around £1000 in high season. Departure dates: The price of this trip depends on how many people join the departure. If it is full (6 people) it is £3600. If the group is smaller the price will increase. 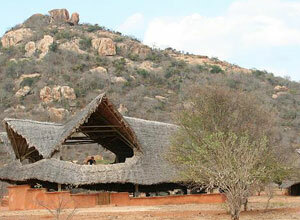 The single supplement is £220 - but a single room will probably be unlikely at Ithumba due to the lack of tents. Tsavo is one of the biggest reserves in Africa, and eles love it. 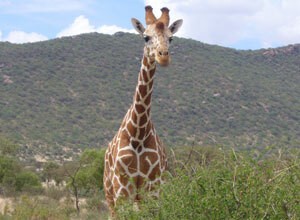 Nearby Chyulu Hills are great for horse riding and walking safaris. Iconic views across to Kilimanjaro. Most people don’t come to Kenya to visit Nairobi, but there are good places to see here and a night or two can be interesting. African elephants are threatened by ivory poachers, habitat loss and human-elephant conflict. They are a hugely important species in the African ecosystem but are currently classed as ’vulnerable’ due to the vast numbers being lost each year. This trip is for anyone wanting to help conserve these wonderful animals. The trip does not include you sponsoring your own elephant at the Sheldrick Elephant Orphanage in Nairobi (which you visit a few times on the trip, including outside of normal public hours), but you can stay at the camps in Tsavo and Chyuklu Hills where Sheldricks release the elephant into the wild. Not many people get this chance!